It was announced by Ron Moore at the Outlander Fan Gathering tonight that Bear McCreary will be the composer of the Outlander TV series. 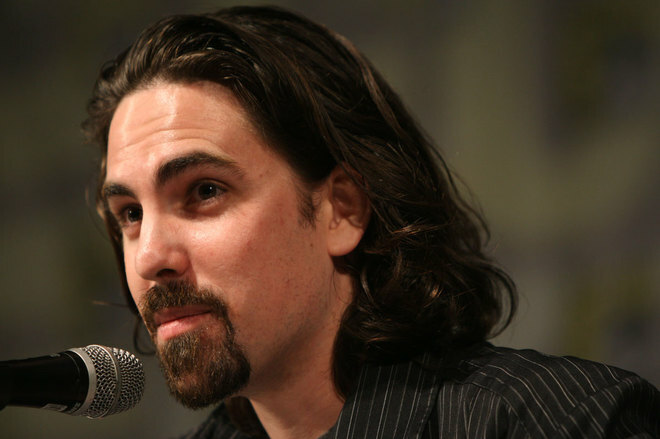 Bear McCreary is well know to both Ron Moore and Starz. He has and is composing for Black Sails, Da Vinci’s Demons, The Walking Dead, Battlestar Galactica, The Agents of S.H.I.E.L.D., Terminator: The Sarah Connor Chronicles, Defiance, and others. He has also done the score for films as well, like Europa Report, Knights of Badassdom, and Step Up 3D. He also won the Primetime Emmy Award for Outstanding Original Main Title Music for Da Vinci’s Demons in 2013. Bear is still fairly young (only a couple months younger than I) and he has accomplished a lot in his career already. Please welcome Bear to the Outlander Clan! We can’t wait to hear the opening credits theme music! This entry was posted in Bear McCreary, Composer, Production News and tagged Bear McCreary, Composer by Sarah Ksiazek. Bookmark the permalink.